This series is the logical choice for your auxiliary DC systems needs! This series is the result of more than 25 years experience in designing and manufacturing battery chargers. 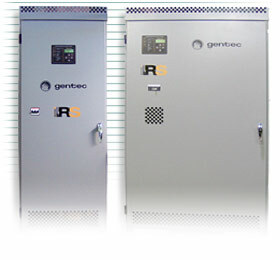 The RS SERIES has been designed to fulfill the needs of today's industrial electrical and public utilities substations. Its very competitive pricing and its modern design, combined with "Gentec" renowned quality and customer support make it the logical choice for your auxiliary DC systems. In addition to the traditional functions of standard battery chargers, the RS SERIES chargers meet the industry's present needs to minimize operating costs and required maintenance time. Special care has been taken to include the features required to optimize the life span of the connected stationary battery.